Fall is a season of change. As the deciduous trees prepare for winter, they grace us with a beautiful display of color. It’s almost as if they save up all their energy during spring and summer for their gala performance of the year. The trees in Yosemite vary in their colors but nothing speaks the changing of the seasons, to me, like the brilliant yellows of these trees along the Merced river. For the second consecutive year an early storm brought rain to the park in October. The early rain caused the rivers, streams and falls to spring back to life from their summer sleep. The combination of spring-like water conditions and fall color made for an especially pretty time in the park. Just like the trees in Yosemite I’ve also shed some leaves this fall. As we brace for a brief winter, both the trees and I are looking forward to a beautiful spring. 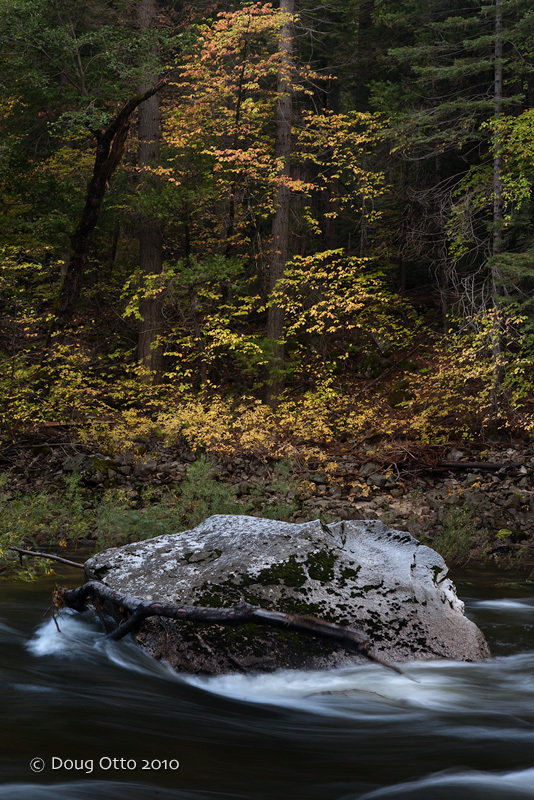 This entry was posted in Photography, Random Thoughts and tagged doug otto, fall color, Merced River, Photography, yosemite national park. Bookmark the permalink.